I've got a Boardman Comp 650B from the Halfords - despite the retailer it's really impressed me, the frame is very light and its been an excellent starter bike for me. However, it's become evident that its actually too small for me. 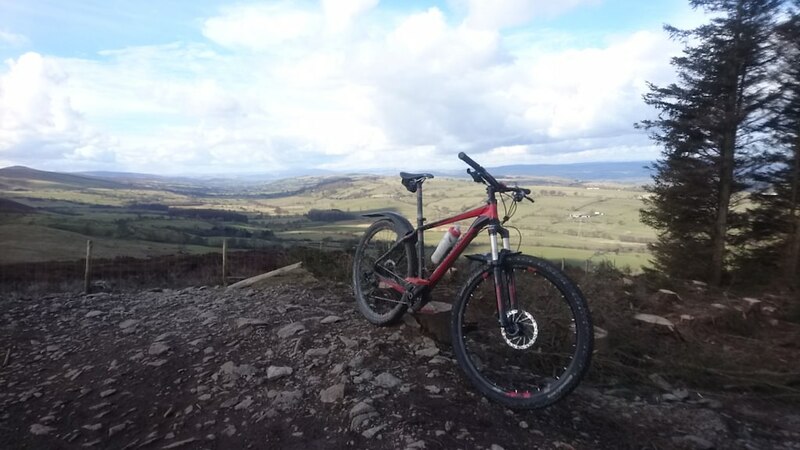 Based near Chester, regularly ride Llandegla. Sale price is £350 - need it gone! New SRAM chain recently fitted. Ergon GE1 Grips fitted since picture taken. Charge Spoon Seat fitted; will include Boardman original seat. Thats a lot of bike for the money! If you're suffering with lower back pain have you considered going to a full suspension mtb (as well as a slightly bigger frame)? That cured 20 years of lbp for me. The jarring of my lower back caused by the relatively solid ride with the hard tail bike used to make the bones, discs and inbetweenie bits in my back move about. Since moving to a full sus'er (about 15 years ago) the lbp incidents have reduced significantly. Mate, I'd love to - but its a cash thing. The full sussers I could afford would be too old as I'd have to go second hand; and I'd really like something with modern geo. My cannondale trail has flexi rear stay thingys or something which apparantly helps! I’ll need to check my size - but provisionally, yes. What dropper is it/how much? It’s an RSP 65 squid ? Cool; okay. This is a bad time for me cash-wise; are you looking for any trades at all? Otherwise I might have to pass for now. Admittedly, not a lot right now. Maybe an SM57 or other workhorse mic; will need to check. Send me a PM.